1.1 1. How to Take Screenshot of the Whole Screen on a Mac? 1.2 2. How to Take Screenshot of a Selected Area on Mac? 1.3 3. How to Take Screenshot of a Window on Mac? 1.4 4. How to Take Screenshot of a Menu on Mac? You might never know when you will have to take a screenshot on mac and send it to someone. 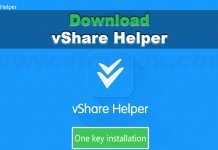 If you are using a Windows computer, then it’s an easy task for you. But, What if you are using Mac? It may be a complicated task for some people and if you are one of them, then don’t worry, we are here to help you regarding this. 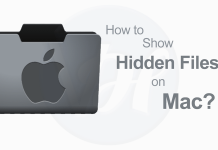 In this post, we are going to present the complete guide on how to screenshot on Mac without any hassles. So, without any more discussions, let’s start exploring the ways to take a screenshot on Mac. 1. How to Take Screenshot of the Whole Screen on a Mac? Press and Hold Command, Shift and Number 3 keys altogether until you hear the sound of a shutter. Once you hear the shutter sound, it means that your PC has taken a screenshot of the screen. If everything goes right, then you can find your saved screenshots on your desktop in the PNG format. And, if you want to save your screenshot on the clipboard, then just add Control button to the key combinations mentioned in the first step. 2. How to Take Screenshot of a Selected Area on Mac? Press and Hold Command, Shift and Number 4 keys altogether until your Mouse icon turns into a crosshair pointer. 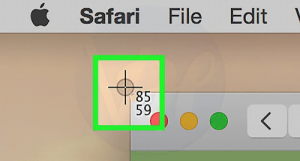 Once you see the crosshair pointer, then you have to select the area which you want to capture. After selecting the area, just let go of your mouse and then you will hear the shutter sound. That’s it! You are done. You can find the captured screenshot on the desktop in PNG format. 3. How to Take Screenshot of a Window on Mac? Firstly, Press and Hold the Command, Shift and Number 4 keys altogether until your cursor turns into a crosshair pointer. Once it turns, instead of selecting the area to capture just press Spacebar and then the crosshair pointer will turn into a camera pointer. After that, point the camera pointer over any window and click on it. Upon clicking, the contents of that window will be captured in a screenshot which you can find on your desktop in PNG format. 4. How to Take Screenshot of a Menu on Mac? Click on the menu which you want to capture. 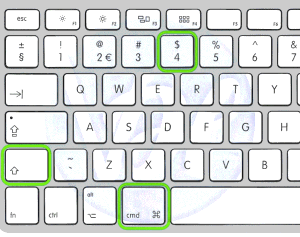 Then, press and hold Shift, Command and Number 4 keys all together to change your mouse icon to a crosshair. 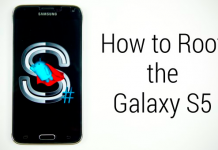 After that, select the area which you want to capture and release the mouse button. That’s it! 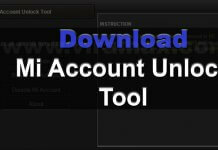 you have taken a screenshot and you can find it on your desktop in PNG format. That’s it! 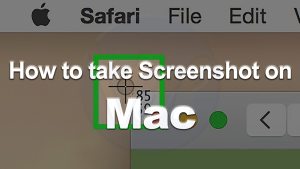 These are the best ways which you can use to take a screenshot on your Mac. I hope you found this guide helpful. If you liked this guide, then share it with your friends, family, and relatives who are also looking for the same information. Also, if you have any queries or questions to ask, then let me know in the comment section below.